Joining the Auto-Train 85-foot Full Domed Passenger Car in 1974 is the Auto-Train Auto Transporter. The car is listed by Bachmann as an 85-foot Auto-Train Auto Double Deck Transporter, though the car is not 85-foot in length. 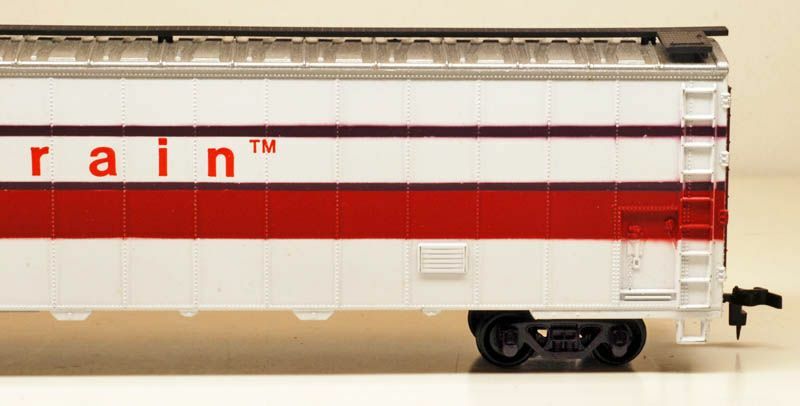 For 1975, Bachmann correctly lists this car as a 76-foot Auto-Train Auto Double Deck Transporter with a $7.00 retail price. The model weighs 5 ounces and does measure 76 scale feet in length. The Auto-Train paint is a fairly elaborate job for 1970s model trains. The Bachmann model's shell is cast in gray plastic and painted white. 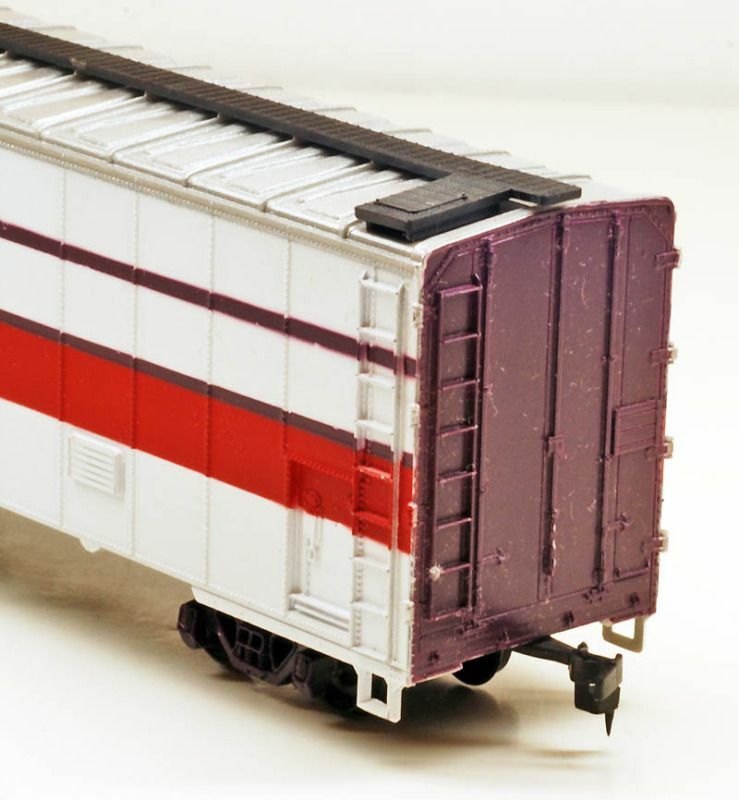 The ends are painted purple, red and purple stripes are applied to the sides. The roof is painted silver. The only lettering is Auto-Train's name pad printed on the sides in red. The roof walk is a black cast plastic separately applied piece. The underframe is black plastic and includes BACHMANN and HONG KONG origin markings. A metal weigh is fixed to the top of the underframe. The trucks are cast in purple for our Auto-Train example.